Propaganda is the spreading of information in support of a cause. The word propaganda is often used in a negative sense, especially for politicians who make false claims to get elected or spread rumors in an effort to push a particular agenda or get their way. The information is not objective with a primary use to influence an audience often by presenting facts selectively to encourage a particular synthesis or perception or using loaded language to produce an emotional rather than a rational response. It is often associated with material prepared by governments, activist groups, companies, and the media. In recent weeks the American people have been bombarded with massive amounts of propaganda from the weaponized mainstream media in a barrage of heart-rending images and sound bites. Much of it has been out of context and some has been outright lies. Photos of a crying little boy in a cage began circulating on social media as another byproduct of the Trump administration’s heartless “zero tolerance” immigration policy, which separates illegal migrant children from their illegal migrant parents at the border. Many of those sharing the picture claim the image depicted a boy detained by ICE under the new Trump administration policy of referring all people who cross the border illegally for criminal prosecution. The photo was liked some 38.3k times with more than 30,000 comments on Twitter alone, adding Facebook there were even more. Except as even CNN contends this photo is completely out of context and is not showing what it claims to show. When even “Fake News” CNN calls you out for out of context info, it is an issue of some significance. The picture was actually taken during a June 10 protest conducted by the Brown Berets de Cemanahuac -Texas Chapter against the current White House “zero tolerance” immigration policies at Dallas City Hall. Then there is Time magazine cover. Time magazine used a viral image of a sobbing 2-year-old Honduran child snapped by Pulitzer Prize-winning photographer John Moore alongside a towering Donald Trump for its “Welcome to America” cover illustration. The cover seems to ask the question – “What sort of country are we” as it tries its level best to place blame for America’s current immigration policies on all Americans, and more specifically on President Trump himself. 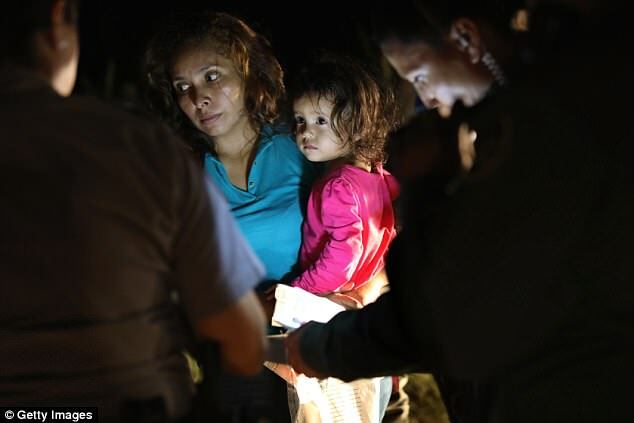 The little girl is 2-year-old Yanela Denise Hernandez from Puerto Cortes, Honduras. 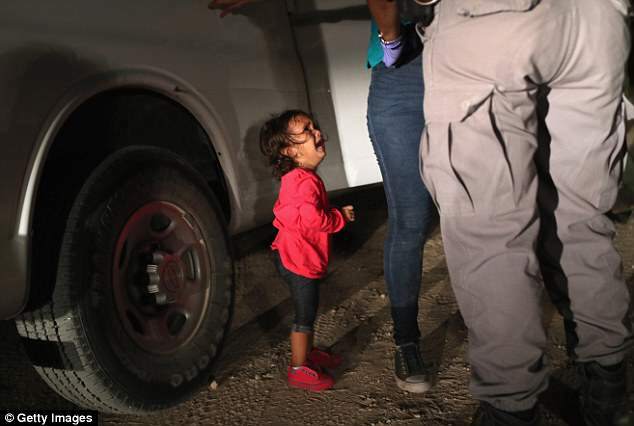 She became the face of the child separation crisis after she was photographed crying in McAllen, Texas, as Border Control agents searched her mother, Sandra. Her father, Denis Javier Varela Hernandez, spoke out after seeing her picture explaining that his wife and daughter were never separated by border control agents and remain together. “A spokeswoman for Immigration and Customs Enforcement (ICE) has told DailyMail.com that Sandra had been previously been deported from the US in 2013. Sandra current immigration proceedings are ‘ongoing’ and she is being housed at a family detention center in Texas. Denis said that his wife had previously mentioned her wish to go to the United States for a ‘better future’ but did not tell him nor any of their family members that she was planning to make the trek. White House Press Secretary Sarah Huckabee Sanders even spoke out via Twitter denouncing the blatant bias and out of context commentary from Time Magazine. It is worth noting Time’s publisher, Henry Luce, had a close relationship with the CIA. CIA employees traveled with Time-Life credentials as cover in the 1950s. The Luce family financed efforts to kill Fidel Castro. Luce is now long gone and Time, a formerly staunch Republican periodical during his time now embraces the establishment’s shift to “progressive” politics. It is now the preferred political control mechanism. Other publications have also attempted to portray immigration policies put in place under the Clinton and Bush administrations and implemented and implemented under the Obama administration, as monstrous and cruel by posting photographs from 2014 under the Obama administration. The same news outlets that are now openly accusing President Trump of ripping children from their families and placing them in facilities they liken to concentration camps were oddly silent during the last administration. A lawsuit filed in 2015, Doe v. Johnson, No. 15-00250, during former president Obama’s administration reveals just how appalling the conditions were prior to President Trump. The lawsuit was filed by two women detained in the Tucson Border Patrol Station as well as a Tucson man detained twice in that facility. Yet these are the photos the media is using to depict current conditions. Where was their outrage in 2014 and 2015 when THIS was happening?